Coming Soon : Royal Enfield Thunderbird Twinspark 500 cc !! UPDATE : Royal Enfield have launched Thunderbird 500 cc variant at 2012 Delhi auto expo !! CLICK HERE to see Thunderbird 500 cc Review specifications and price. CLICK HERE to visit 2012 Delhi auto expo page. 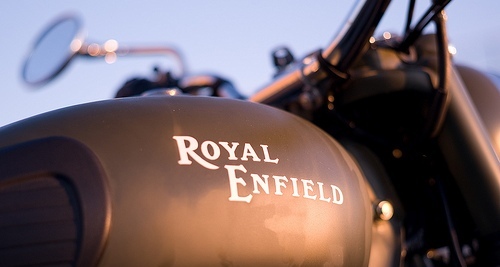 Royal Enfield, forerunners in the manufacture of motorbikes is all set to launch their 500 cc variant of its Thunderbird cruiser bike with a UCE engine. After speaking to Royal Enfield dealers in the DELHI NCR (National Capital Region) we found that a 500 cc UCE (Unit Construction Engine) with EFI (Electronic fuel injection) could find its way into the Thunderbird’s frame. Dealers from the NCR stated on condition of anonymity that a new Thunderbird may be launched soon and that it will likely sport the Classic’s 500cc UCE engine with EFI. UCE powered Royal Enfield are in huge demand today. Bullet lovers are increasing day by day and so is the demand for UCE. But as always, Royal Enfield has manufacturing constraints, because of which it is not able to meet customer demands. UCE are not only more powerful but are also very reliable and economical than their compatriots. Gone are the days when a Royal Enfield motorcycle was considered as a bike which is high on maintenance. Royal Enfield launched the India-specific Classic 500 UCE fuel-injected model in 2009 without an O2 sensor(Lambda sensor). May be to keep the cost of motorcycle low since bike’s price is already above Rs. 1.30 lakh. But many people believe that the lack of an O2 sensor in the fuel-injected system caused issues. On the other hand , the UK and US-specific Classic 500 models are sold equipped with O2 sensors and there have been no issues with the fuel-injected systems on those models. With the Thunderbird 500 UCE hopefully, these issues along with fuel injection glitches will be solved by Royal Enfield. The bike will likely be priced in the Rs.1.30-1.45 lakh range in order to ensure its price does not clash with their flagship model Classic 500. 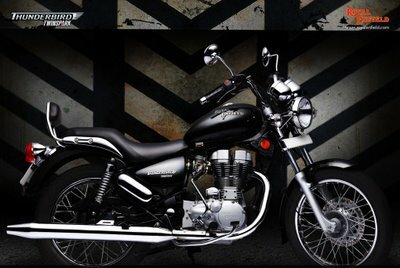 The present Thunderbird 350 twin-spark is priced at roughly Rs.1.12 lakh while the Classic 500 comes at a price of Rs. 1.46 lakh. The Classic 500 is powered by a 4-stroke, air- cooled, single cylinder, OHC, SI engine with fuel injection. The 499 cc engine produces 27.2 bhp of maximum power at 5,250 rpm and 41.3 Nm of maximum torque at 4,000 rpm. There are no official confirmations about the bikes launch yet. But according to some Royal Enfield dealers the launch in India is expected soon and all Motorcycle lovers have something to look forward to in the near future. Going by the history of Royal Enfield, this all new 500cc Thunderbird is definitely going to take the bike enthusiasts by storm. Any idea when the bookings are opening? Hope its launched soon.Thunderbird with the LB500 handlebar is a perfect riding posture for long rides. Its Awe-inspiring!! I am very keenly waiting for its arrival. its unmatchable.